There is something about new bedding and new pyjama's that everyone including myself seems to love. Especially now as the darker and colder autumn/winter nights start rolling in we all start snuggling back in to our warm cosy pyjama's. So when the lovely people at Pixie Dixie offered both James and Evelyn some new pyjama's from their iconic British designs range I knew they would be perfect for the colder nights! 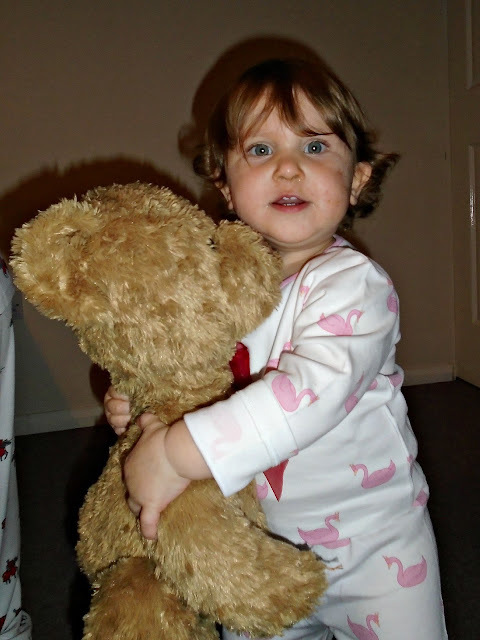 Pixie Dixie is a British company established in 2006 making Kids' PJs that they love to wear and mums love to buy. 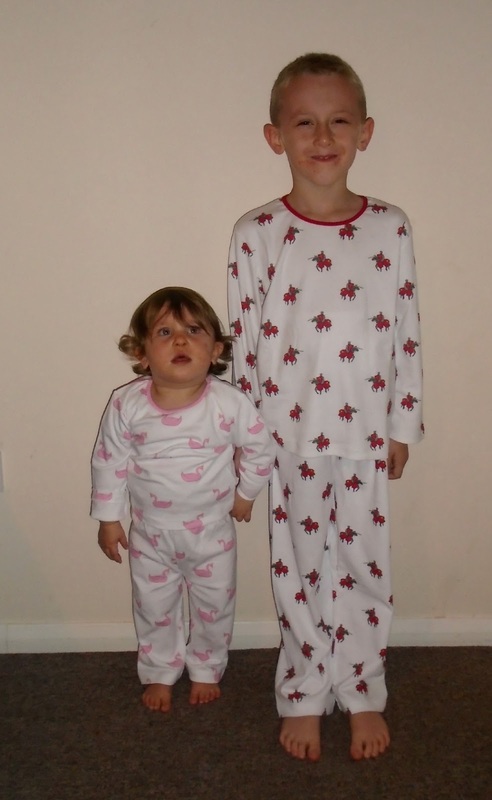 All of our Boys' Pyjamas and Girls' Nightwear and Baby Gifts are made from high quality, 100% cotton jersey. Pixie Dixie Kids' PJs feature iconic British designs such as London taxis and buses, princesses crowns, marching soldiers and gliding swans. I chose the knights on horse back design for James and the pink gliding swans design for Evelyn. When they arrived I hurriedly pulled them out of the packaging and was amazed at the softness of them! The PJs are 100% jersey cotton which makes them really soft, incredibly warm and require NO ironing (extra thumbs up!). I chose the crew neck design for both James and Evelyn with both tops featuring a classic crew neck and long sleeves and the full length trousers have an elasticated waistband so are not too restricting as they move around in the night. I have to admit I was a little apprehensive at washing them as as the colours in the designs are lovely and vibrant and the background a crisp white. I thought the design may fade or bleed in to the white, however I was pleasantly surprised to find this was not the case. The PJs washed incredibly well and the colours are still bright after several washes, they also both kept there shape well and look as good as new with no signs of bobbling or shrinkage. Priced at £29.99 each these PJs are a little more expensive than I would usually pay out for nightwear but you can really tell the quality of these PJs and I am sure they are going to last ages (well until one of them has a growth spurt!). These would make a lovely gift or if you are putting together a Christmas eve box these would make a fantastic addition as Christmas PJs! Pixie Dixie PJs come in a great size range with pyjama's and nightwear available in sizes 1-10 years and if the crew neck design isn't for you they also sell the same designs in a classic pyjamas style too! If you want to check out more of the Pixie Dixie designs or order your own then check out the Pixie Dixie website for the full range - www.pixiedixie.co.uk. What is your favourite design from the website?